When China’s Lenovo Group Ltd. took over fading mobile-phone pioneer Motorola Mobility in October 2014, Chief Executive Yang Yuanqing vowed to restore the brand as a global leader. Addressing staff at Motorola’s Chicago headquarters after the $2.91 billion deal closed, Mr. Yang told them their talents would propel the combined company to global dominance, recall several people who heard him. Together, he noted, the two companies already constituted the world’s third-biggest smartphone maker by shipments. Mr. Yang saw the deal as a chance to repeat a success he had a decade before, when Lenovo acquired International Business Machines Corp.’s money-losing personal-computer division and turned the combined company into the world’s largest PC maker. Two years after buying Motorola, Lenovo has axed at least 2,000 U.S. jobs. It has fallen to as low as No. 8 globally in the smartphone world, from No. 3. In May, Lenovo reported its first annual loss since 2009, which Mr. Yang blamed partly on restructuring costs after the acquisition of Motorola, with its iconic batwing logo. “We underestimated the differences of the culture and the business model,” Mr. Yang said in a recent interview. 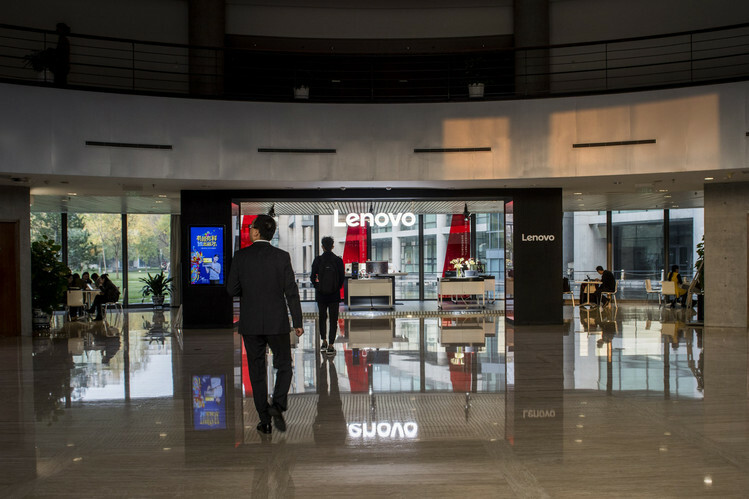 Lenovo’s problems show the potential pitfalls for Chinese companies as they venture abroad. Egged on by the government, Chinese companies spent a record $226.4 billion on overseas acquisitions in 2016, according to data tracker Dealogic, striking deals for a German appliance manufacturer, a Finnish game developer, a U.S. aluminum producer and agricultural behemoth Syngenta AG. Regulators and lawmakers from the U.S. to Germany to Australia have begun looking more closely at Chinese suitors, amid fears Chinese acquisitions are yielding fewer-than-expected jobs and other benefits and more national-security risks. Beijing also is starting to signal more unease at the pace of overseas acquisitions because it is worried about capital flight. 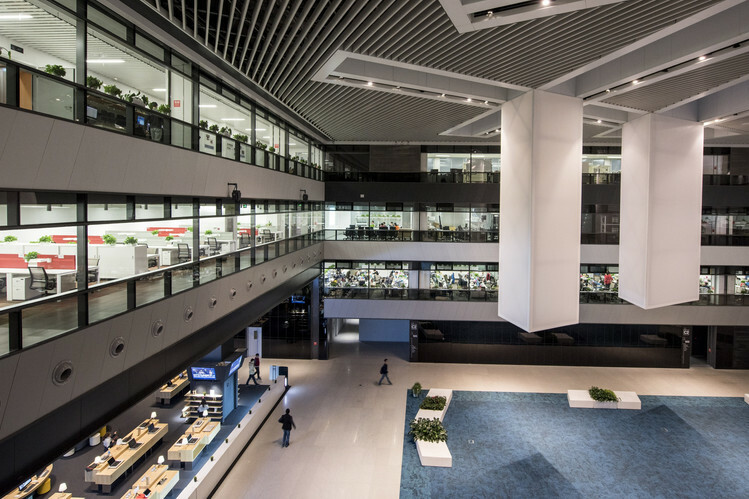 Interviews with dozens of current and former Lenovo and Motorola employees indicate that poor integration was just one of the Chinese technology giant’s many missteps. Mr. Yang’s success with IBM led him to make a number of strategic errors, those people say. Most crucial was that Lenovo lacked a clear vision for how to succeed in some of its largest markets. Mr. Yang pushed sales of Motorola devices in China, where Lenovo’s own phones already were dominant and the market was fast becoming saturated with new players. The Motorola devices flopped. In the U.S., Motorola’s home market, Lenovo initially bumped up advertising expenditures then slashed spending on advertising and product development. Motorola slipped further behind Apple Inc., Samsung Electronics Co., and even China’s ZTE Corp., which sells inexpensive phones. 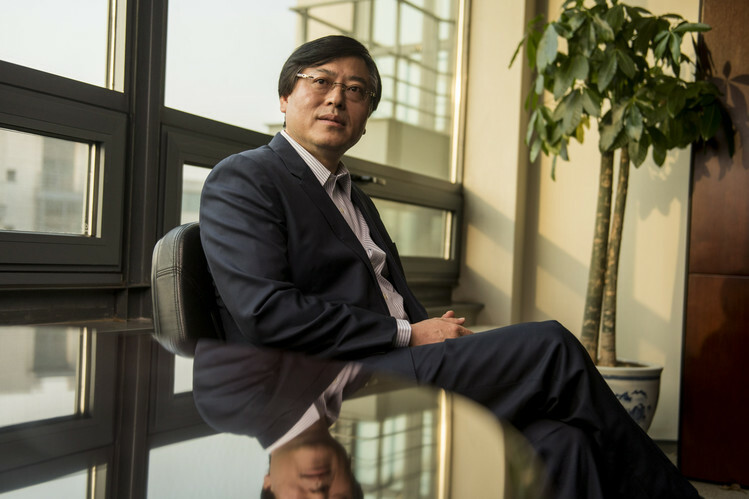 In an interview, Mr. Yang, 52 years old, said Lenovo’s travails aren’t the same ones faced by other Chinese acquirers. “We have already successfully transformed Lenovo into an international company,” he said. “Our issue was that we didn’t know each other,” he said, referring to Lenovo and Motorola. Mr. Yang believes Lenovo’s smartphone business is now poised for success. Lenovo says it increased global advertising and marketing spending for the Motorola brand 30% in 2016, with much of the boost coming in the second half of the year, and is seeing strong global demand for its newest flagship smartphone, the Moto Z. When Lenovo bought IBM’s personal-computer unit in 2005, IBM was struggling to increase PC sales, and many industry veterans thought Lenovo was too small and inexperienced to turn it around. Mr. Yang once described the acquisition as a snake swallowing an elephant. Investors credited the company’s willingness to listen and learn. Mr. Yang temporarily moved to North Carolina to better understand IBM’s PC business and to learn English, and he kept most top IBM executives on board. Lenovo leapfrogged HP Inc. and Dell Inc. to become the world’s biggest PC maker. Motorola held a special appeal for Mr. Yang. It was the brand of the first cellphone he bought in the mid-1990s, after working his way up from delivering computers by bicycle to lead Lenovo’s PC business. Google Inc. had bought Motorola for $12.5 billion in 2011, looking to scoop up its huge patent trove. Mr. Yang, hoping Google would someday sell, invited Executive Chairman Eric Schmidt to his Beijing home for dinner in 2012 to talk. In November 2013, Mr. Yang said, Mr. Schmidt called him to see if he was still interested. Two months later, the companies announced a deal. Google sold Motorola Mobility, and retained most of the patent portfolio. Google declined to make Mr. Schmidt available for comment. The mobile market has a long history of fallen titans, such as Nokia Corp., which missed the switch from traditional mobile phones to smartphones. Although Motorola still was among the top five U.S. phone brands when Lenovo acquired it, it was posting losses and lagged behind market leaders such as Apple and Samsung. Many analysts thought the marriage could work, given Lenovo’s experience. The IBM success, in particular, created “a certain aura of invincibility,” says Neil Mawston, an analyst at market-research firm Strategy Analytics. Mr. Yang initially instructed Lenovo executives to take a hands-off approach, similar to his strategy with IBM. He vowed to make Motorola profitable within six quarters and reassured Motorola employees he didn’t plan to cut U.S. positions and move them to China. He also insisted Motorola re-enter China, a country it left after being acquired by Google, whose search and email functions have largely been blocked in China following disagreements with Beijing over censorship. Lenovo already had a huge phone business in China, briefly reaching No. 1 in sales in 2014. Mr. Yang decided to keep Lenovo and Motorola as separate brands. Motorola would target high-end consumers, competing against Apple and Samsung, while Lenovo focused on less-expensive devices. Motorola still had loyal fans from its heyday in the early 2000s, Mr. Yang felt, and selling two brands could help the combined company grab market share. Some Lenovo executives questioned why Lenovo couldn’t also put its name on premium products, according to people familiar with those discussions. Nearly a decade before, IBM ThinkPads had been rebranded as Lenovo ThinkPads. Motorola executives also worried about losing their momentum in the U.S. and Brazil, which accounted for the bulk of Motorola’s 10.6 million units shipped in the last quarter of 2014. In January 2015, Lenovo announced that the U.S. brand was returning to China. It didn’t spend heavily on marketing, counting instead on nostalgia for Motorola phones from the mid-1990s to propel sales, some former employees say. It also opted to sell them online only, a nod to upstart Chinese phone maker Xiaomi Corp., which had used the online-only model and savvy social-media marketing to become a top seller. Youthful Web shoppers showed little affinity with Motorola, however, and customers seemed turned off by its prices. Its Moto X cost $600 to $700, approaching the iPhone, which had more cachet. Motorola doesn’t release Chinese sales numbers. Research firm International Data Corp., or IDC, estimates it shipped 200,000 units in China in 2015, compared with 65 million by Xiaomi. With sales failing to take off, Lenovo took what some employees thought was its strangest action: In May 2015 it launched yet another mobile-phone brand, called Zuk. Lenovo executives thought creating the new brand, using college students to consult on design and features, was a good answer to the challenge posed by Xiaomi. Dozens of Lenovo employees transferred to Zuk, leaving fewer to shore up Lenovo’s struggling phone division, a person familiar with the matter says. IDC analyst Melissa Chau says Zuk sales so far have been negligible. As Motorola’s U.S. sales slipped, some employees blamed Lenovo’s lack of investment. Motorola spent $21.6 million on advertising in the U.S. in the first half of 2015, compared with Samsung’s $187.8 million, according to ad tracker Kantar Media. At an emergency meeting of about a dozen Lenovo managers in Beijing in June 2015, Mr. Yang scolded managers for not doing enough to stay on top of the mobile business, especially in the fight against Xiaomi, according to a person who attended the meeting. He called for a hands-off approach to Motorola, according to people familiar with the matter. He put Chen Xudong, a longtime Lenovo PC executive with little background in smartphones outside China, in charge of the combined company’s global phone business. Motorola’s president at the time, Rick Osterloh, and his team of product designers began reporting to Mr. Chen. Tensions soon emerged, former Motorola executives say. Mr. Chen was disproportionately interested in products for China and would unilaterally adjust the timing of when products would be delivered and their features, those people say. On one occasion, Mr. Chen overrode objections from Motorola executives opposed to bringing to China the Moto X Force, which was designed for Western markets, according to a former manager. Mr. Chen liked the phone, with the world’s first shatterproof display, and thought it could do well in China. That meant Motorola engineers had to tweak the phone’s hardware and software because China’s cellular frequencies are different and Google apps don’t work there. The Moto X Force flopped in China, which some employees attributed to Motorola’s lack of brand recognition and marketing. Mr. Yang said in the recent interview that differences in opinion are normal between subordinates and bosses. Lenovo declined to make Mr. Chen available for interview. Mr. Osterloh didn’t respond to requests for comment. With Motorola failing to make major headway in either of the world’s two largest economies and demand for personal computers slowing, Lenovo in August 2015 unveiled a plan to cut $1.35 billion in costs annually and to eliminate 3,200 jobs companywide. A former Motorola engineer in Chicago, whose team of nearly 100 people developed handset prototypes, recalls a meeting where they were told the department would be eliminated and its jobs moved to China. The engineer’s last task was packing up manufacturing equipment to dispatch overseas. 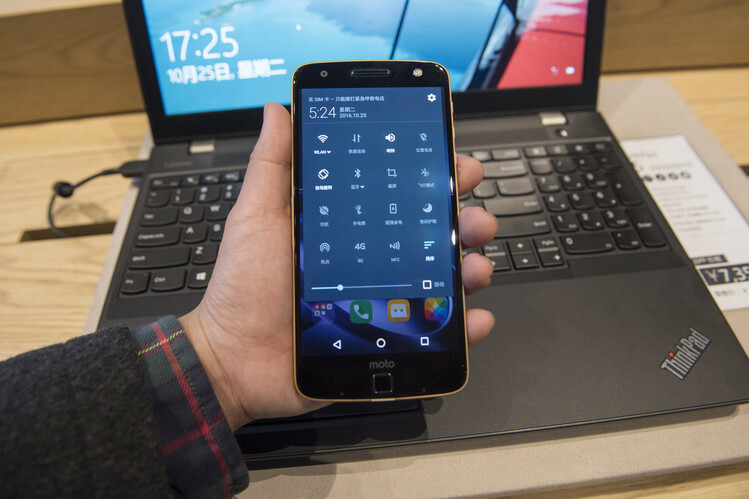 The cuts helped Motorola briefly return to profitability in the last quarter of 2015. In March 2016, Mr. Osterloh left and later became Google’s hardware chief, presaging a wave of departures of Motorola executives. Mr. Yang said departures are normal in any integration. “We keep the talent that we want to keep,” he said. In the quarter ended September, Lenovo’s smartphone market share in China was less than 2%, down from about 12% three years earlier, according to IDC. Motorola slipped to sixth place in the U.S., from among the top five throughout 2014 and 2015. Its China shipments remain negligible, IDC says. While Lenovo moved up two notches to No. 6 in IDC’s global smartphone ranking in the third quarter of last year, IDC analyst Bryan Ma says it isn’t clear whether the company will be able to hold on to the gain. In September, Lenovo announced another 1,000 layoffs, mostly at Motorola, according to people familiar with the cuts. In November, Lenovo transferred Mr. Chen to its customer-service division.